FILE - In this July 1, 2017, photo, a man is treated for suspected cholera infection at a hospital in Sanaa, Yemen. An Associated Press investigation found that Yemen’s massive cholera epidemic was aggravated by corruption and official intransigence. In July 2017, a plane chartered by the United Nations idled on the tarmac at an airport in the Horn of Africa as officials waited for clearance to deliver half a million doses of cholera vaccine to Yemen. Amid the country's ruinous war, the disease was spiraling out of control, with thousands of new cases reported each day. The green light for the plane to head to northern Yemen never came. The U.N. wasn't able to distribute cholera vaccines in Yemen until May 2018 and the outbreak ultimately produced more than 1 million suspected cholera cases. It is the worst cholera epidemic recorded in modern times and a calamity that medical researchers say may have been avoided if vaccines had been deployed sooner. U.N. officials blamed the canceled flight on the difficulties in distributing vaccines during an armed conflict. But officials with knowledge of the episode told The Associated Press that the real reason was that the Houthi rebels who control northern Yemen refused to allow the vaccines to be delivered, after spending months demanding that the U.N. send ambulances and other medical equipment for their military forces as a condition for accepting the shipment. The cancellation of the shipment was just one of the setbacks that aid agencies faced in battling the cholera epidemic that has left nearly 3,000 Yemenis dead. Relief workers and government officials said they have seen repeated indications that insiders in both the Houthi government in the north and the U.S.-backed government in the south have skimmed off money and supplies from cholera vaccination and treatment efforts. In some cases, treatment centers for people who had contracted cholera existed only on paper even though the U.N. had disbursed money to bankroll their operations, according to two aid officials familiar with the centers. The AP's examination of the efforts to fight the disease in Yemen drew on confidential documents and interviews with 29 people, including aid officials previously based in the country and officials from health ministries run by both the Houthi rebels and the internationally recognized government in the south. Almost all of these individuals — including six relief and health officials who say the Houthis were responsible for cancellation of the 2017 vaccine shipment — spoke on condition of anonymity out of fear of retaliation. 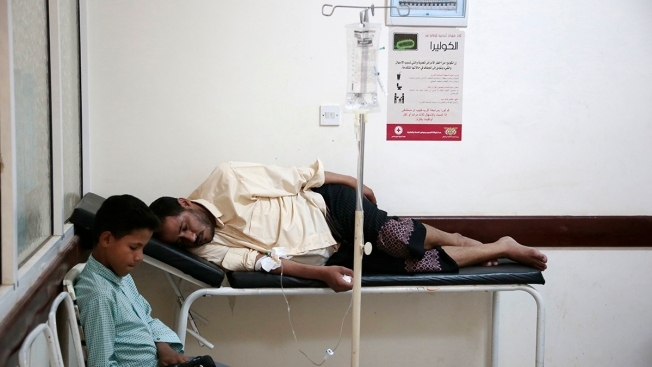 Ali al-Walidi, the deputy health minister in southern Yemen, and Youssef al-Hadri, the spokesman of the Houthi-run Health Ministry in the north, both deny there were delays in getting cholera vaccines into Yemen at the start of the outbreak. Al-Hadri said claims that the Houthis blocked the shipment of vaccines into Yemen are false. "This is all baseless, and I challenge the agencies to say this officially," he said. Geert Cappelaere, the Middle East Director for UNICEF, the U.N. children's relief agency, declined to blame any particular group for halting the 2017 shipment. "What is important is that the vaccines that needed to get in have ultimately gone in and have reached the people who needed to be vaccinated," he said. "Has this been simple and easy? Absolutely not. Each shipment has been problematic to get in because of the long approval time" and because of "skepticism among the authorities on both sides" about the value of cholera vaccines. Officials at Indiana University's main campus say they now have 20 confirmed cases of mumps at the school as of February. Cases were logged among students in dormitories and off-campus housing. Cholera spread across Yemen in late 2016 and throughout much of 2017 and 2018. It ebbed late last year, but has again picked up in 2019. A new surge in the disease has produced roughly 150,000 suspected cholera cases and nearly 300 deaths since the start of this year. The first cholera vaccine drives in Yemen didn't start until May 2018 in the south and August 2018 in the north, aid and health officials told the AP. More than 19 million of Yemen's 29 million people don't have access to adequate health care, and more than 17 million don't have clean water, according to the U.N. Those are prime conditions for the spread of cholera, a disease caused by feces-tainted water and food. Cholera can kill swiftly if untreated, its victims drained by diarrhea, vomiting and fever. Some 2.5 million doses of the cholera vaccine have been transported into Yemen by the U.N. since mid-2018. It's unclear how many of them have been administered to people in target populations. Two Houthi officials confirmed to the AP that nearly 1.2 million doses remain stored in warehouses in Sanaa, the rebels' capital. The Health Ministry there plans to distribute those doses soon in two northern districts, one of the officials said. Hager Taher, a 27-year old mother of two, was one of hundreds who died from cholera in the months after the July 2017 vaccine delivery had been called off. Taher was in the last days of pregnancy, living in the village of al-Ghareb, in the Houthi-controlled northern province of Hajjah, when she began vomiting and showing cholera-like symptoms. Taher was sent to a hospital run by Doctors Without Borders in the city of Abs. Soon she developed complications and was moved to another hospital nearby. It was there, in September 2017, that she died. Her child was born alive but died four days later. 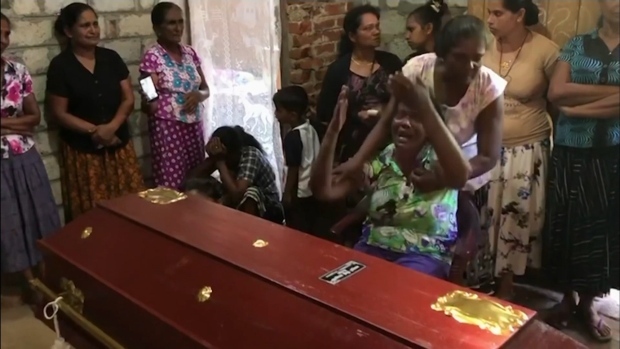 "It's God's will," her husband, Mohammed Hassan, told the AP. "There's nothing to do."